Whether you're engaged or married, Date Night is something that we love to see stand the test of time in any relationship! 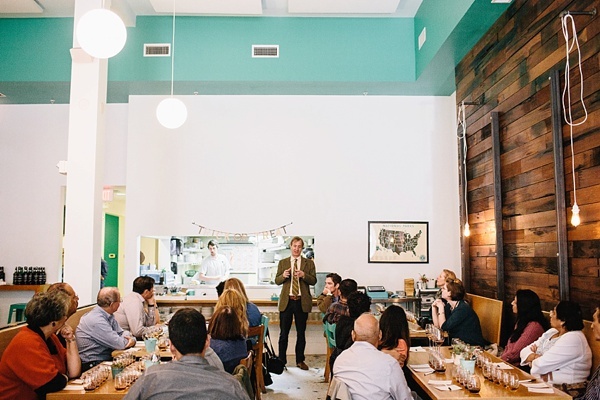 And thanks to the annual culinary event Fire, Flour, and Fork and Quirk Hotel in Richmond, Virginia, we were filled to the brim of ideas and excited to share with you and your honey over the next few months. 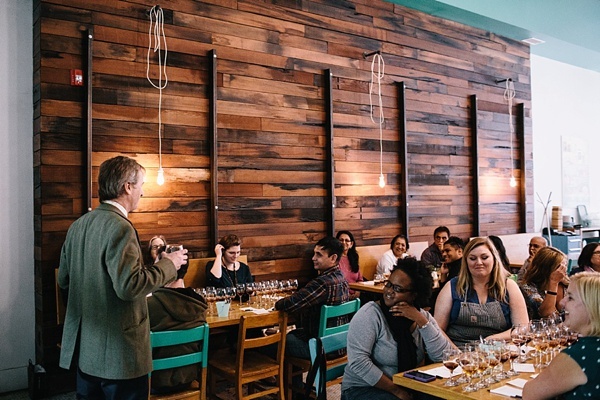 Surrounded by food and drink from all over the Dominion State, chefs, restauranteurs, and food and drink connoisseurs shared their craft in the most tasty way possible... and one of those ideas we loved was: madeira tasting and mixology class! Led by Bartholomew Broadbent, the owner of Broadbent Selections, one of America's finest wine importing companies located right in Richmond, and Beth Dixon, the Beverage Director of Pasture, a well-loved Southern comfort food, local-reppin' restaurant also known for their fun and inventive cocktails also in Richmond, this particular Fire, Flour, and Fork experience was a fresh take on wine tasting with a dash of madeira history, a brandy-meets-wine concoction by heated process, and the art behind a delicious cocktail. Neither my husband or me are aficionados of the vine, and I actually don't drink that much (I'd rather eat my calories! ), and yet we still had a great time doing something we've never done before! FUN FACT: Madeira was a favorite of Thomas Jefferson, and it was used to toast the Declaration of Independence. 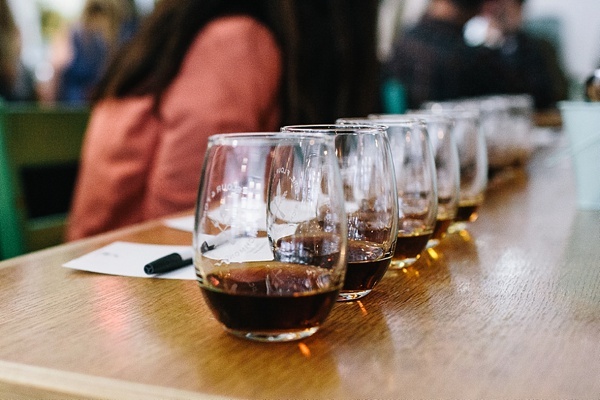 Five different madeira varieties were placed out for each person along with a paper to write down notes and thoughts for each glass of madeira. From new to nearly 20-year old wine, there was a bit of everything. The older madeira got, the sweeter it became. Jason Alley, co-owner and head chef of Pasture, even dished out banana pudding as a side! After listening to the history, the mixologist ideas of adding in different tastes to complement the madeira's flavor layers, attendees were able to try the official event-created cocktail and then experiment with their own creations using bitters, citrus, liqueurs, and other bar-ready necessities as they felt so inspired. FUN FACT: Bananas are served a lot with madeira and is said to complement the sweet notes of this drink. You don't have to be super winos or cocktail masters to enjoy this! Heck, we have one bottle of sweet moscato in our entire house. But the great thing is that everyone literally got something different out of this experience. Time shared with their loved ones, the geeking out over history facts (umm, Declaration of Independence, y'all! ), the science and methodology of mixing drinks, and even tasting unique wines that you don't see every day. It was interactive, engaging, light-hearted, and perfectly paced. FUN FACT: The American Prohibition killed madeira and its sales and reputation. It's been steadily re-emerging in the U.S. market. Food and drink naturally bring people together, so any date night around these two favorites is an A+ in my book! It's totally worth the drive to wherever in the state of Virginia for unique experiences like this one. In Richmond and hungry after all those sips? 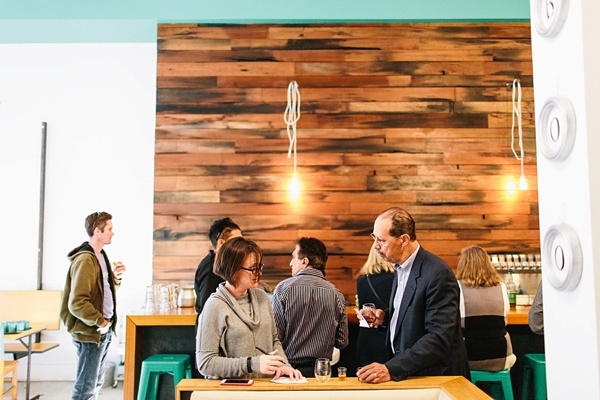 If you're wanting Southern food, stick around at Pasture. The housemade pickles are the best I've ever had, and words escape me for their most amazing Chocolate Candy Bar dessert ever. But if you're craving Mexican food, Tio Pablo Taqueria in Shockoe Bottom is hands-down the best Mexican food I have had this side of the Mississippi. Not just because it's an 100% gluten-free restaurant, but the authentic savory flavors came through and satisfied to the very end. For food allergy sufferers, both places are very accommodating, especially with advance notice. Can't wait for next year's FFF? Or not near a place that has upcoming mixology classes? Try this DIY version! Get together some of your best friends and grab your favorite bartender friend for an at-home version! Plan to only make three signature cocktails and prepare notebooks, ingredients, and complementary food dishes for each one! Insta-date right in the comfort of your own home! Looking for more date night ideas? Check out our past Date Night Ideas features for more inspiration. Meals and activities were provided by Fire, Flour, and Fork, and the opinions featured in this post are all my own. Amazing photos by Betty Clicker Photography.